What is a MyRouteYou Plus? What's in the MyRouteYou Plus? 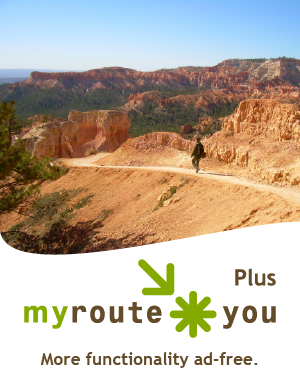 With a MyRouteYou Plus account on RouteYou you visit and enjoy the RouteYou platform ad-free and you have some extra features such as merging routes and using reference routes. And naturally you have all basic functionalities. Online you can upgrade your MyRouteYou Free account to a MyRouteYou Plus account by clicking the main meny (top left) / MyRouteYou / 'Upgrade' and walk through the paymentflow. or check out the functionality overview.